Last night's dinner was pretty good for $10 at the local pub. This morning I was up and ready to go at 7am. Weather again is just perfect. As I knew I had a lot of climbing ahead, I stocked up on sweets to help me over them hills. I also made sure I had plenty of water. After about an hour on the road, I stopped at the lookout to the Murray 1 Power Station. 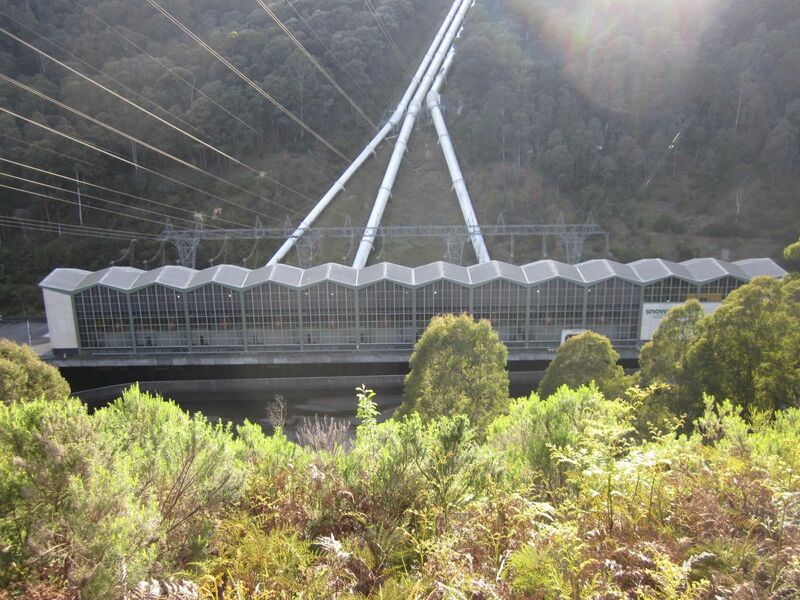 This was constructed as part of the Snowy Mountains Scheme in the 1960's. There was some information on the work that was involved. It is a great engineering achievement. You can even go down to the visit centre, but it didn't open till 9am (it was only 8am). Afterwards I continued riding upwards to my first lookout, Scammells Ridge Lookout. 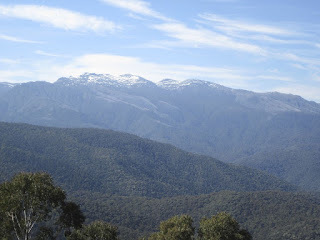 Gave me a really good view of the Snowy Mountains. It also gave me an idea as to the size of the climbs I've still to conquer. Over the next couple of hours I continued to go up and down hills. The scenery along the way was just breathtaking. For the lunchtime break I stopped at Tom Groggins area. Again it was a great spot to stop at. 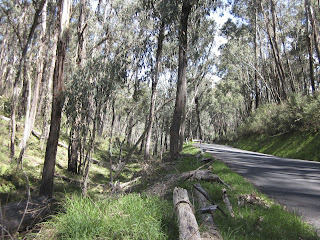 Also it was my final major stop before I started my last 15km climb up to Dead Horse Gap. Well the next 15kms of climbing started to hurt. I think I was in my granny gear for 95% of it. I took a couple of additional breaks along the way to give my little legs a break. Then I saw the sign for Dead Horse Gap. I was so buzzing, my little legs seemed to find a bit more energy to power me there. 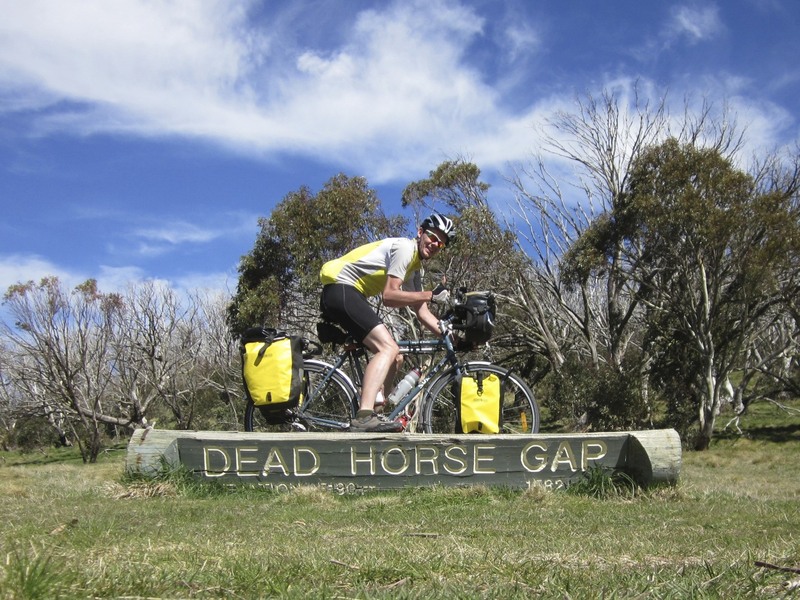 Dead Horse Gap is one of the highest sealed roads in mainland Australia. At the top of the mountain !! 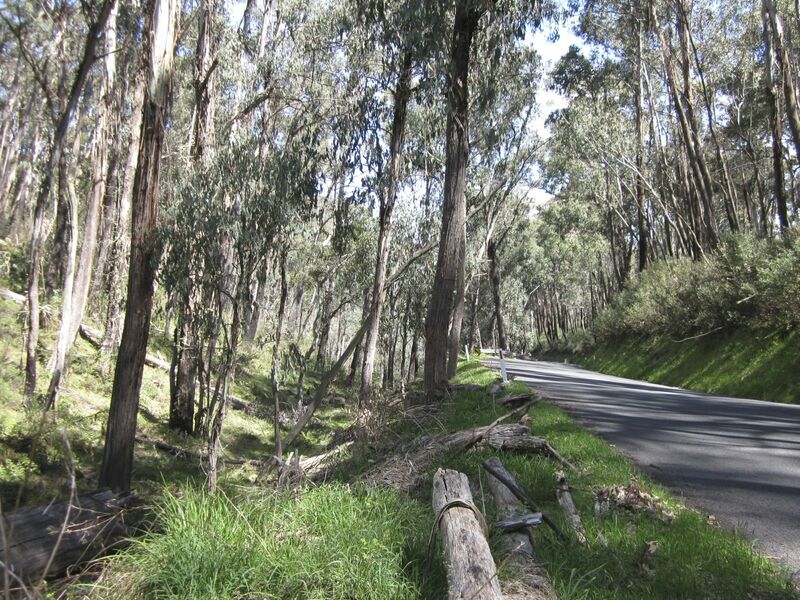 After I took my pictures I rode down to Thredbo. 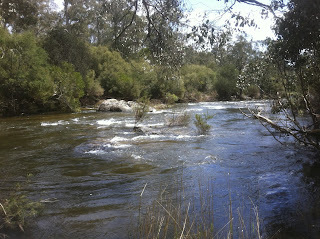 Those last 5kms were all downhill and I followed this cascade. All you could hear was the water roaring down it. I am staying at the Yha in Thredbo. It is a very relaxed and friendly place. Went to the shop to get a little food, the town is so quiet at the moment. Thredbo is busy in the winter time, as it is one of the major gateways to the NSW ski-fields. Now it is spring the ski-fields are closed and so are most of the shops! Was planning to stay a couple of nights here, but they've predicted rain from tomorrow afternoon for the next couple of days. So instead will leave tomorrow morning and spend a couple of nights in Cooma. Tonight I am going to the local bistro for dinner. Too tired to cook!